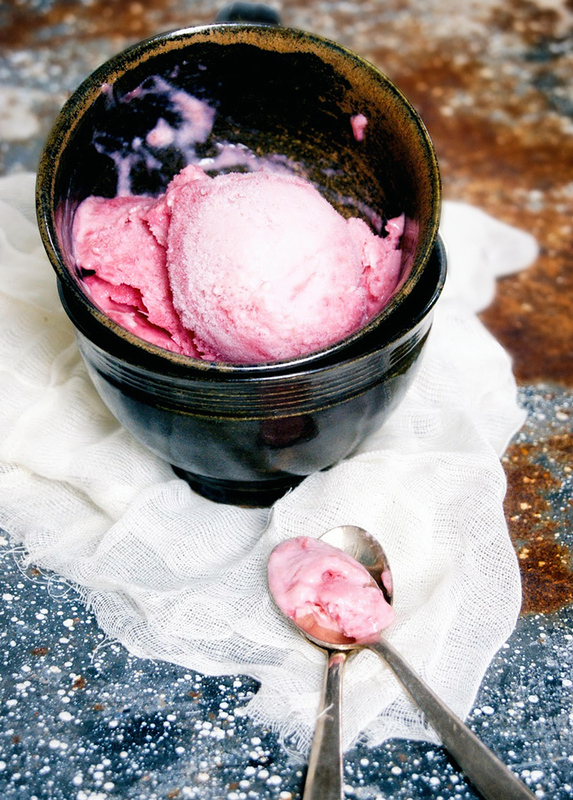 This egg free & dairy free rhubarb gelato is honey sweetened and made without an ice cream maker. Made with coconut milk, no cashews are needed for this creamy spring gelato. 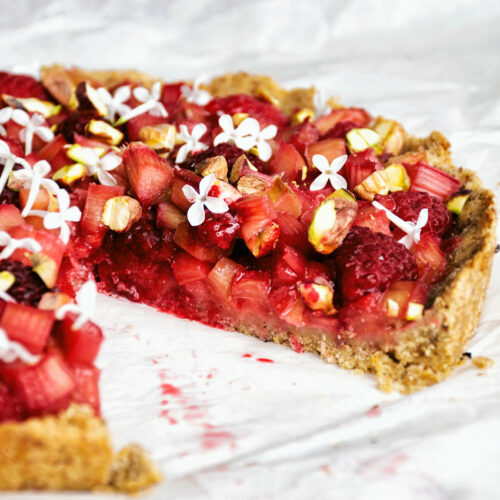 This is the last rhubarb recipe, I promise. I think. Maybe. It’s definitely the last sweet one. Because even though nothing in our garden is ready yet (we got a later start), mama is hitting me up with some lettuce and chard tomorrow. I sure like rhubarb though. 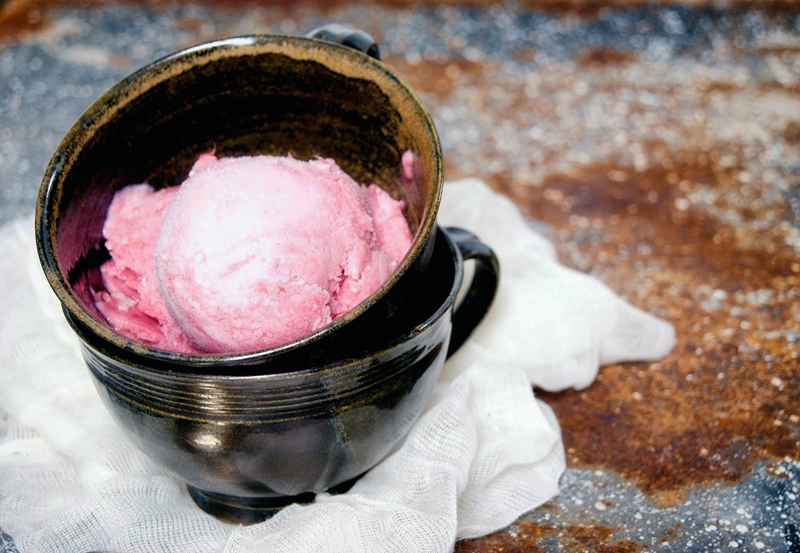 The egg & dairy free gelato is a lovely mix of sweet and tart, using double the amount of rhubarb to milk. I chose ever-so-creamy coconut milk, partly because I never seem to have enough eggs in the house for ice cream, and because I think it’s easier and more accessible this way. I’m not a big fan of using cashews in ice cream as they’re 1. very expensive and 2. not as creamy as coconut milk. 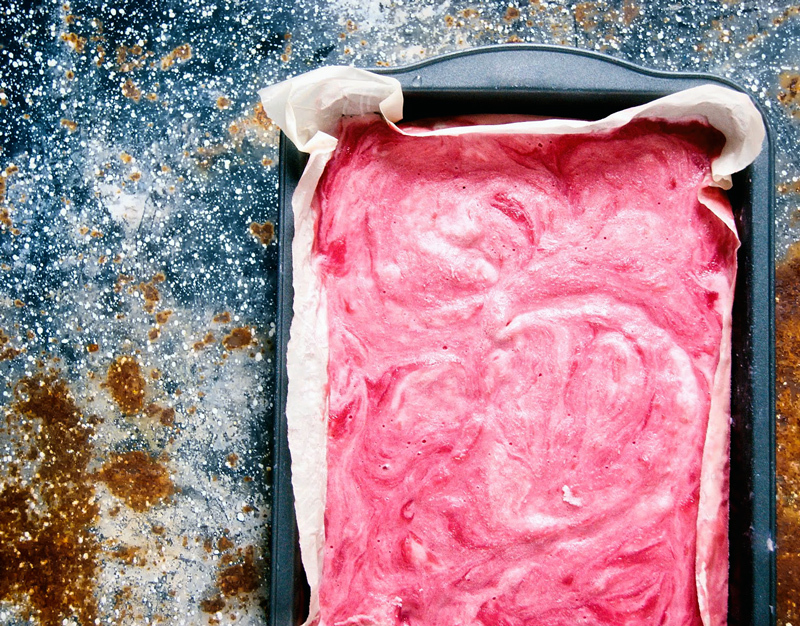 You only need pantry items in addition to the rhubarb. The rhubarb gelato does taste very faintly of coconut, but it’s barely noticeable over the tanginess of the rhubarb. If honey is a part of your diet, please be sure to use it. Honey helps to reduce crystallization in homemade ice cream. In other words, if you don’t use honey, you might end up with hard, icey, pink gunk. I don’t know, I haven’t tried it. If you do, let me know! Having a rhubarb swirl wasn’t really part of the deal when I stuck this in the freezer the first time. It tasted kind of blah, though, and pale pink is just not as funky as bright pink. I made an extra batch of rhubarb compote, with a handful of raspberries mixed in, and poured it on top of the almost frozen ice cream, then stirred it in with a fork. If you have an ice cream maker (lucky) then you can try pouring the second half of the rhubarb in when it’s just about fully churned. I love using the rhubarb compote from this ice cream in other recipes, too – this rhubarb chia pudding is a particular favourite, but it’s great stirred into yogurt too. And if you eat eggs, a little rhubarb curd would be great swirled into the gelato with the compote! 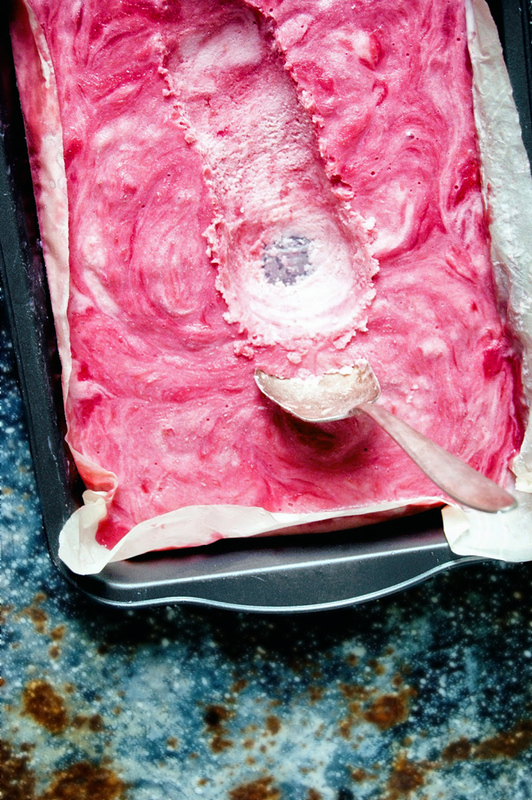 This dairy free rhubarb gelato is honey sweetened and made without an ice cream maker. Made with coconut milk, no cashews are needed for this creamy spring gelato. 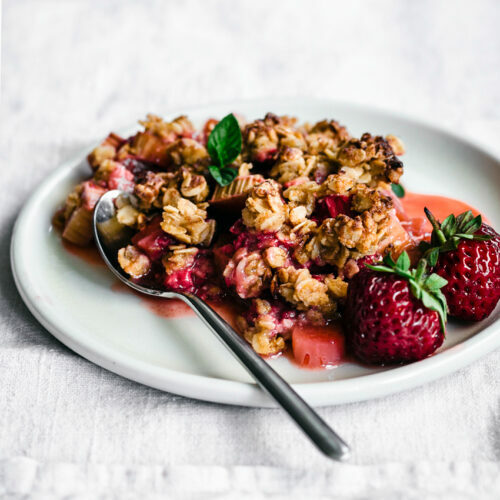 Cook the rhubarb, raspberries, honey, and lemon juice over medium heat for 8-10 minutes, or until very soft. Cool slightly and pour into your blender, mixing until smooth. 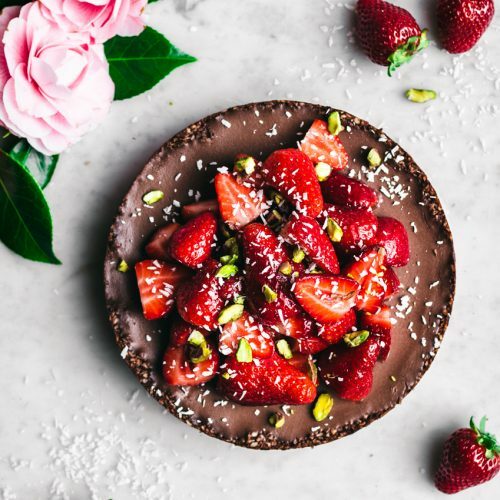 In a medium saucepan, cook the coconut milk, vanilla, salt, and arrowroot over low-medium heat for 10-12 minutes, or until thickened, stirring frequently. Do not boil. It will coat the back of a wooden spoon when it's ready. Mix half of the rhubarb compote (refrigerate the other half) into the gelato mixture and stir until fully combined. If you have an ice cream maker, cool, and follow the manufacturer's instructions. If not, pour into an 8x10 metal tray lined with parchment paper. Freeze for about four hours, stirring with a fork every hour, until frozen solid. After the first two hours, pour the remaining (cold) compote onto the gelato and swirl in with the fork. Let the gelato sit at room temperature for ten minutes before scooping and serving. 1. I know it's a lot of ice cream, but I doubled the amount of rhubarb halfway through. Feel free to half it if it's too much. It keeps in the freezer for a while, though. 2. You can substitute 1 1/4 cups maple syrup for the honey for a vegan option. 3. 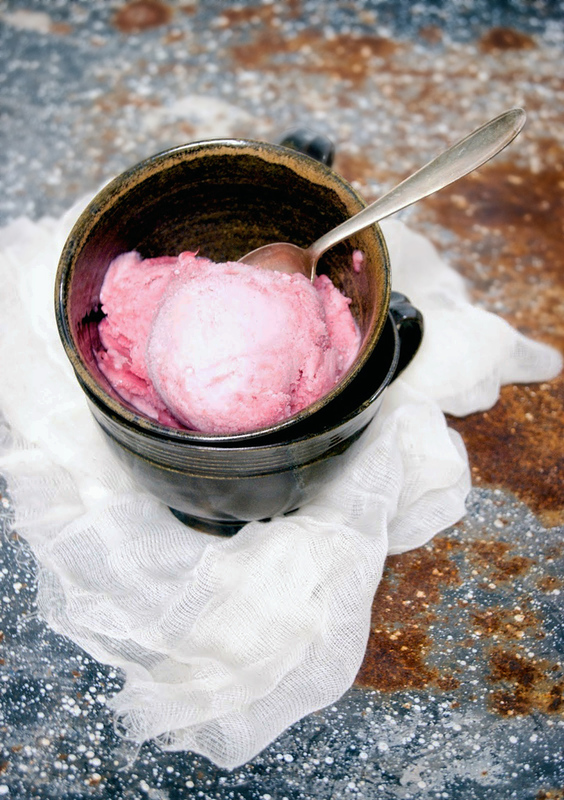 You can also use a teaspoon vanilla bean paste in place of the extract for pretty speckled gelato. 4. Gelato is just ice cream that uses all milk instead of a combination of milk and cream. This is more similar in texture to gelato. I know I’ve been posting a lot more lately, but get used to it – there’s so much inspiration in the summer, and I have more time. Subscribers, please note that I will still only be sending one weekly email, as I don’t want to bombard you every couple of days. Also, if you’ve been reading for a while, you may have noticed that I’ve cut down on language a lot. My aunt gave me hell for it, so I stopped (at least with the extra bad words). If you ever meet me in person, I will probably forget that promise. Hi Silvana! You can substitute arrowroot for cornstarch if that's available. It's the thickening agent in this recipe (sort of like egg yolks in regular ice cream) so I'm afraid it's necessary for the recipe to work properly. 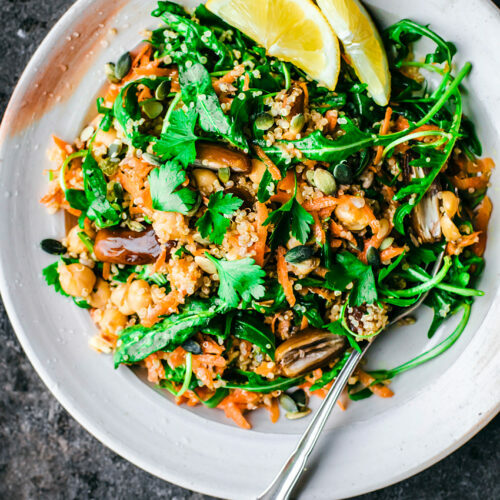 You could also use potato starch or tapioca if they're easier to find!